named Doris Rindels, RN, as the interim chief executive officer with the launch of the UnityPoint Health® – Des Moines and University of Iowa Health Care affiliation. Todd C. Linden, FACHE, CEO and president of Grinnell Regional Medical Center, decided to retire from hospital administration following 24 successful years in Grinnell. Linden will continue in a consulting role for six months to support a smooth transition with the affiliation. “We are proud to announce that Doris Rindels will assume the top leadership role following the announcement with the UnityPoint Health – Des Moines and University of Iowa Healthcare affiliation,” says Wendy Kadner, UnityPoint Health – Grinnell Regional Medical Center Board of Directors chair. Rindels brings 39 years of experience working with staff, physicians, and the community to deliver excellent care. She has been a vice-president with GRMC since 2013, and assistant vice-president from 2005 to 2013. She joined the GRMC team in 1977 working in the emergency department, intensive care unit, and obstetrics unit, and through the years progressed into leadership positions such as a nursing house supervisor and the director of nursing. In her role as trauma nurse coordinator, Rindels lead the GRMC ER team to become the first Trauma Level 3 certified hospital in the state. She continues to serve on the System Evaluation Quality Improve committee for the State of Iowa Trauma System. In sharing her skills and talents with the community, Rindels is a member of the United Way of Grinnell Board of Directors, and a member of the Mental Health Consortium, JPK Fund. 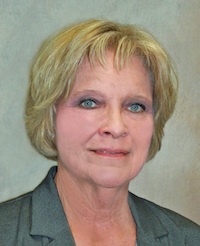 Previously, she served on the advisory board for the Iowa Valley Community College District Practical Nursing and Associate Degree Nursing programs, and the advisory board of Marshalltown Community College Nursing programs. As a resident of Montezuma, Rindels has volunteered with the Montezuma Emergency Medical Service for decades. In 1998, she was named the Poweshiek EMS Person of the Year and received the Iowa Emergency Medical Service Association Excellence in Service for Iowa EMS award. Rindels added that she wants to hear from the public, patients, and staff about concerns and opportunities with the affiliation implementation plan. Announcement on Linden’s role will be forthcoming.